Senior public officials' assets of Declaration are already in Open Data format. 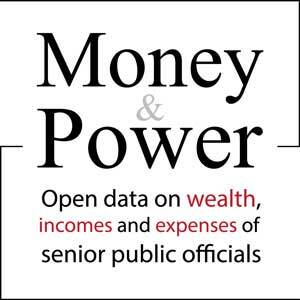 During April in the framework of Money, Governments and Politics project, in the section Money & Power (One Stop Integrated Data Source) are revealed the annual declaration of assets of 180 entities. • Eight new concessionary agreements have been published in Spending Data Albania in the Concessionary Register section. Given that these agreements are related to local governments in general and public services in particular, their importance is considered as very crucial for the public. US Ambassador in Tirana Mr, Donald Lu stood alongside representatives of civil society organizations and the Central Election Commission (CEC) to introduce the assistance of the United States in support of free, fair and comprehensive local elections in Albania. AIS project Za'Lart 2015 was awarded by the Small Grants Program for Democracy of the US Embassy and the Open Society Foundation Albania (OSFA) This project aims at using ICT tools for fair elections in order to contribute for active citizenship and democratic election. During the ceremony particular attention was given to the role of Civil Society in monitoring the electoral process of 21-st of June. • Startup of Za 'Lart 2015 - Make Elections Count. Functions as a web and app mobile, in which citizens are invited to report election problems. Certified observers can be notified in real time for voters concerns. 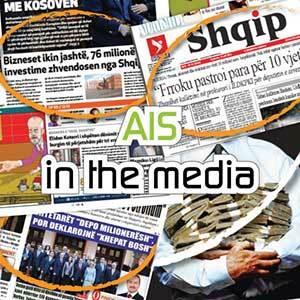 Articles published in Open Data Albania and Spending Data Albania portals have been (re)used by the media and public at circa 90% of information disclosed by AIS. Concessionary Contracts publication has encouraged the media to better dive into data of calls for tenders related to concessionary projects. A typical case is the parking concessionary contract in the municipality of Vlora.